Bored of your plain white walls? Want to add something special to the border of your garden? 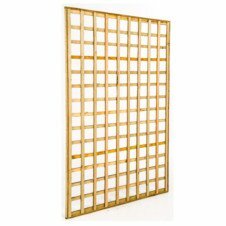 Try one of our trellis panels. These sturdy structures are easy to use and will make all the difference to your outdoor area. Our trellises are versatile and can be used to fence off an area, increase the height of a fence, or simply as decorations. We’re more than happy to help you customise your trellis by cutting curves or archways into them. 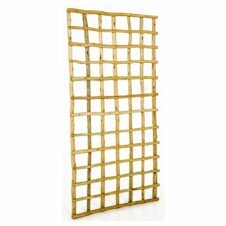 Alternatively, we also custom make trellises with different aperture and pattern options. You’ve spent a lot of time nurturing and growing your garden, so you obviously want it to look as amazing as possible and we’re here to help. Climbing plants need a structure to grow on as they can’t grow upwards on their own. That’s why one of our trellises is the perfect solution. And if you’re unsure of how to best grow these plants, we can always offer advice. 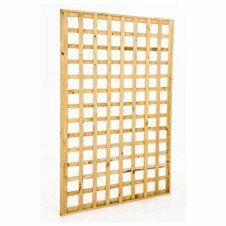 We’re also happy to suggest which trellis panel will suit your needs.